After a number of up’s and down’s this week, it appear’s that Bitcoin is on it’s way to stabilizing and moving back towards a positive trend. And like many of you, with the falling prices of Bitcoin, based on “panic selling”, hopefully you took advantage and bought a few more. Recently I had a friend call me up and was frothing that he didn’t get in when I told him about it, but it’s not too late I said. With prices down in the 90’s, it’s still a good time to buy. Think about the last 2 months for a moment, it went from the 30’s to 260’s in record time and I can’t foresee any reason another rally like that wouldn’t happen again and again. If people are telling you Bitcoin crashed, it’s simply not true. From Jan 2013 the price was in the 30’s. Today it’s in the 90’s. From Jan 2012 the price around 7-15. Today it’s in the 90’s. So I fail to see in the big picture where the crash was, do you? I suppose from a greedy sense, the 260 mark peaked and price declined from there, but you have to average out the big picture, not just an instance. From report’s popping around out there, speculation suggests that Bitcoin is on track to be the same price as an OZ of Gold by year’s end. So $90.00 per Bitcoin seems like a reasonable buy right now. 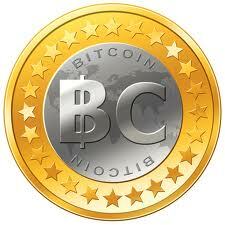 My prediction is that BitCoin will exceed an OZ of gold by 1st quarter of 2014. The bottom line is, Bitcoin has a real possibility of being a critical part of the future economy’s reform so help the world and buy a Bitcoin today. As this isn’t an exhaustive list of Bitcoin resources available, it’s a good place to start your Bitcoin adventure.